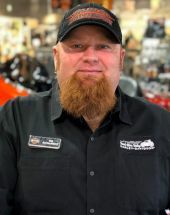 Dave has been working in the Harley-Davidson industry since January 2, 1991. 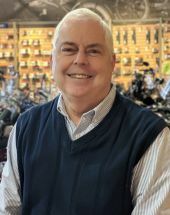 Dave started in an entry level sales position and worked his way up through the ranks to become the General Manager of several Harley-Davidson Dealerships. Dave loves meeting the customers, make sure to say hello when you see him on the showfloor! Wayne brings former experience from the accounting, finance, and technology arenas. In his free time Wayne contributes a lot of volunteer service for such organizations ECHO food shelf, Life Long Learners, and student mentoring through the YMCA. Wayne's hobbies when he has the time are playing golf and racquetball and woodworking. Rob has been with DRVHD since February 2018. Rob has an extensive background as a plumber and made the transition to sales in 2013. As a powersports enthusiast he decided to sell what he loves! When he is not working you can find him riding his Blue 2017 FLHXS. 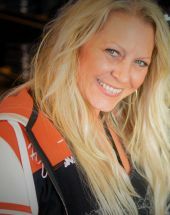 Levi started in the Harley-Davidson business in 2011. 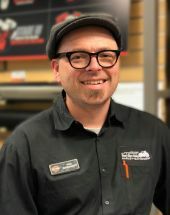 He quickly acquired a vast knowledge of parts, service, and generally what makes your bike go from stock to awesome. Levi enjoys spending time with his new friends in the Mankato community, as well as his dog Marley. Levi plans to put a lot of miles on a new Breakout 114 this summer! 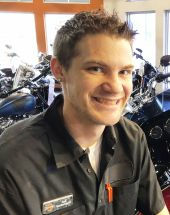 Peter has been working on motorcycles since his dad built him a mini-bike when he was 8. 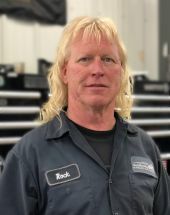 He grew up sitting on the tank of his Dad’s custom chopped Ironhead Sportster with his leg laying over the air cleaner and hands holding onto the gas cap. Peter enjoys riding and working on motorcycles and vintage Italian scooters in his free time. AJ has been working in the auto parts industry for the last ten years. He's been with the Harley-Davidson brand since 2018. He likes to spend time with friends and family and also ride his 2017 Fat Bob. When he isn't out on his bike he tends to work on his 4 wheeler in the garage and go for walks with his dog Apallo. Parts Accessory Labor Specialist / Warranty Admin. 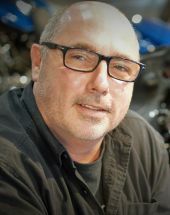 Dave has been in the automotive and powersports industry the majority of his career. 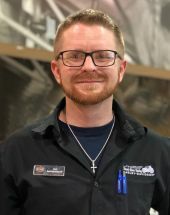 From parts to technician, he’s covered it all and enjoys helping customers. Dave enjoys riding his custom bikes, spending time with his family and friends. 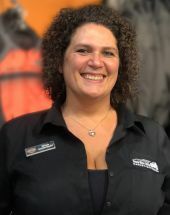 Nichole has worked for Harley-Davidson since February of 2017. She brings with her 15 years of retail management experience. Nichole enjoys being outdoors and spending time with family. She is excited to get her very own Harley-Davidson motorcycle in the near future! 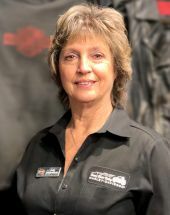 Emily started in the Harley-Davidson business in 1999. She has a vast knowledge of MotorClothes! She has been riding for 19 years, currently on her custom Fat Boy. She enjoys being outdoors, spending with friends and family, especially if it involves traveling to her home sate of Wisconsin! Anthony graduated from MMI in Phoenix, AZ in 2007, taking the early and late model courses including V-Rod and Buell. 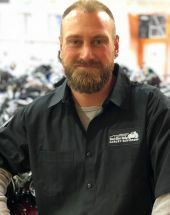 He has over ten years of experience working in Harley-Davidson dealerships, lastly earning his Master Tech. He owns a 2004 XL 883 with engine mods. 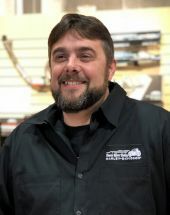 When not wrenching on bikes at the dealership, he enjoys spending time with his family outdoors camping, fishing and hunting. 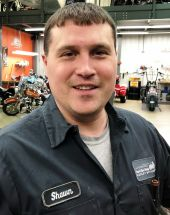 Shawn has been a Technician in the Powersports Industry for 15 years, 6 of those years for Harley-Davidson. Shawn enjoys spending time with his family, and riding his 2009 Fat Bob.